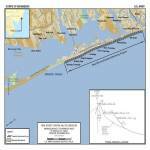 In 2012, New Jersey was severely impacted by Hurricane Sandy, with economic losses to businesses of up to $30 billion. Hurricane Sandy was the most intense storm of the 2012 Atlantic hurricane season, which formed in the Caribbean Sea north of Panama. Over two million households in the state lost power during the storm. 346,000 homes were damaged or destroyed and 37 people lost their lives. 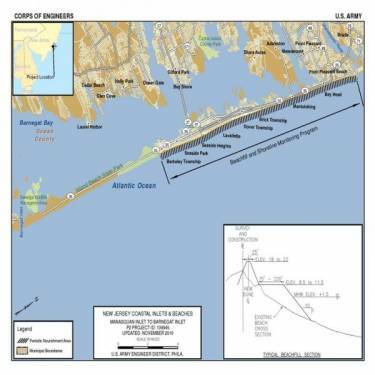 A project had been green lit through a partnership between the US Army Corps of Engineers and the State of New Jersey to rebuild and reinforce the damaged areas. This project was so massive that it was expected to extend into 2019. 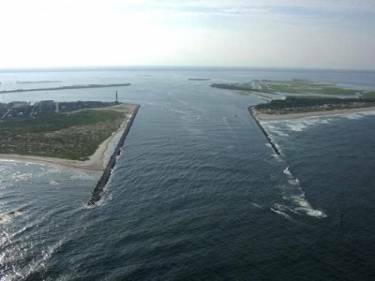 Once completed, the project will have covered approximately 14 miles of coastline, reducing the risk of storm damage from potential future natural occurrences. Beginning in the spring of 2018 and stretching into the winter of 2019, Portland Bolt was contacted to produce the fasteners required for this reconstruction project. Although Portland Bolt is located on the opposite side of the country, this geographic distance had little impact on Portland Bolt being the choice bolt manufacturer. This was mainly due to the fasteners, primarily carriage bolts, required to be 100% domestically made in the USA. With Portland Bolt’s ability to forge headed bolts and hot-dip galvanize in-house, we were able to work with the contractor and push parts through faster than normal. In total, Portland bolt manufactured over 15,000 domestic headed fasteners weighing over 5,000 pounds.